We offer the largest selection of Binders. The best source for Printed Binders in all quantities! 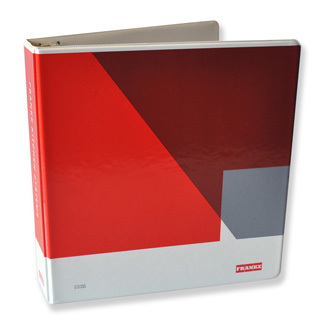 Turned Edge Binders are premium rigid binders with a 'casemade' construction similar to a hardback textbook. 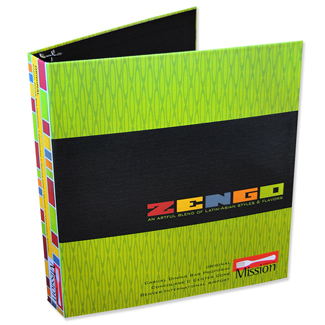 Paperboard Binders are offered in several styles: reinforced with pockets; front-flap with velcro; & super panel. Vinyl Binders are available with printed inserts under clear overlay, or printed directly on the vinyl. Organic Binders are 100% recycled, 100% recyclable, and eco-friendly. Available printed or unprinted. Printed Tabs available for your 3-ring binders. ThePaperWorker has been manufacturing and printing Binders for over 60 years, and all of our 3 Ring Binder styles are available in Low Minimum Quantity! Chat, Email, or Call us today at 877-522-6523. Our Printed Binders are manufactured using only the best materials available and all feature brilliant full color printing. You can trust that ThePaperWorker will exceed your expectations for any of your Binder Projects, including Turned Edge Binders (Casemade Binders), Paperboard Binders, Printed Vinly Binders, and our eco-friendly Raw Organic & Labeled Organic Binders! Which Printed Binders will work for you? Order Turned Edge Binders online on ThePaperWorker! ThePaperWorker offers over 20 styles of Turned Edge 3 Ring Binders including Roundback Binder designs, Printed Front Flap Binders, and our most popular - Standard Turned Edge Binders which are available with Low Minimum Quantity! ThePaperWorker’s 3 Ring Binder options are all Eco Friendly Certified and available with Low Minimum Quantity. Need a high quality presentation binder for you next big meeting? Download a template and design your binders online today on ThePaperWorker! Order Paperboard Binders online with low minimum quantity on ThePaperWorker! ThePaperWorker offers many styles of paperboard binders, including standard paper binders, paper binders with flap, and super-panel paper binders. All of the Paper 3 Ring Binders available on ThePaperWorker are Eco Friendly, and available with Low Minimum! Fully customizable binders are our specialty, and you can either download a template or customize 3 ring binders with your logo using ThePaperWorker’s Online Designer – the choice is yours! Looking for quick and easy logo binders for your business? ThePaperWorker’s Vinyl Binders on ThePaperWorker ship fast and are available with low minimum quantity. ThePaperWorker offers both Screen Printed Vinyl Binders and Embedment Vinyl Binders (also called Clearview Vinyl Binders). Available in several colors with endless customization options ThePaperWorker is your source for high quality printed vinyl binders for your business! All of ThePaperWorker’s Ring Binders are Eco-Friendly, but our Organic Binders really scream ‘Go Green’! 100% recycled content and built on Wind Power, these binders are a natural rich brown color because they are made from recycled cardboard. 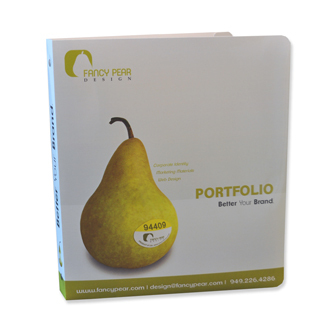 Available in Raw and Labeled styles, Organic Presentation Binders show you’re devoted to eliminating your carbon footprint, but still aren’t willing to sacrifice style when it comes to your promotional packaging. 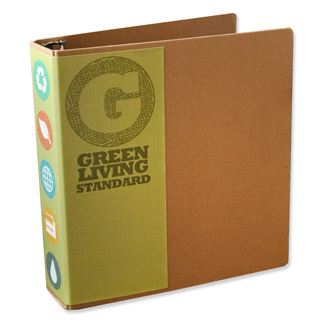 If you own a Green Business, our Organic Customizable Binders are a must! Our printed 3 ring binders have been rated the highest quality printed binders on the web, and we look forward to producing the same quality custom packaging for your brand! 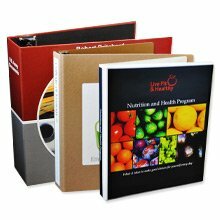 We guarantee you will be thrilled with the quality of our binder and packaging designs. Our team of experts includes structural packaging engineers, designers, all under one roof. We thrive on delivering top quality, functional and durable products through innovation and imagination. It's a continuous process to improve and our commitment to excellence that separates us from our competitors. All of our binders are tough & built to impress! Don't see the binder you need?